This review is about item#478502. With a lot of sizes, it seemed to be more than enough during the season. This review is about item#478633. There was no problem in use cheaper than pure parts. I'm satisfied. This review is about item#478651. This review is about item#478624. It was a very good product. New is good. The work was very pleasant. This review is about item#480611. It is a trusted NOK product. There is no complaint about quality. It is a fairly old car, but it was good that the oil leak was fixed. This review is about item#480934. It can be used equivalent to a genuine product. It has not been assembled to the body yet, but it seems a little cheaper. This review is about item#478922. I was looking for an oil seal where there was one of the same standard. Since it is a maker item, quality can be relieved. Even after replacement oil leakage is very good. This review is about item#00479062. 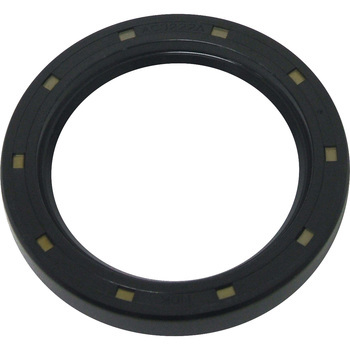 A genuine oil seal, why the size is small, I am saved because this size was available! This review is about item#479017. This review is about item#480846. This number was stamped on the original oil seal for Kubota tractor L1-24, so we ordered and exchanged immediately. Because it was an oil seal of propeller shaft, leakage of mission oil damper also stopped completely. Kubota genuine parts are also expensive, so we have to go to pick up to the service office, so there is no annoyance and it is saved because it is the next day delivery. This review is about item#478825. I exchanged because I was leaking oil from the rotary part of the control machine. Because it is an old machine, I was looking for impossible to have parts ordered, where the same thing was found and exchanged. It took a while to remove the old oil seal. Even if it is rotated after replacement oil bleeding or leakage does not seem. I could exchange cheaply. This review is about item#479114. The size was also perfect and the goods arrived the next day and immediately exchanged and oil leaks stopped at the same time. I was worried whether the size would fit, but it was perfect. I was told that the repair cost was 10,000 yen at the farm equipment shop, but it costed 1000 yen! Thank you very much. This review is about item#478755. I was able to use it for repairing the machine. It is an excellent good item to COSPA, correspondence, it was quick delivery, thanking you in advance. This review is about item#478721. Oil leak has been eliminated by cost reduction, I think that I would like to use it in the future. This review is about item#478773. This review is about item#480952. I used it for exchanging the seal during bearing replacement. It is the same as a genuine product, but its price is completely different so it is cheap and it is saved. I got an oil leak and replaced it. I was looking for an equivalent item because it is very expensive when it is in a genuine bag. Because there are so many, it was able to cure very cheaply. This review is about item#480654. Very, good sealing performance, easy to work, good product. I am indebted to him. This review is about item#480462. It is very convenient to purchase from a small amount. Also price and quality etc. There is no problem at all. This review is about item#478493.